A great pair of supportive shoes can make a world of difference for your feet. This is especially true for shoes that take a beating, like running shoes and athletic shoes. If you have wide feet, it can often be difficult to find shoes online that will fit comfortably and are actually available for international shipping. Luckily, with Big Apple Buddy, international shipping just got a whole lot easier. Big Apple Buddy can help you buy wide width shoes from any US website and ship them to you worldwide. That's right, you no longer have to limit yourself to the narrow shoe range on your local store shelves! Many top brands available in the United States stock an extensive range of wide and extra wide width shoes. 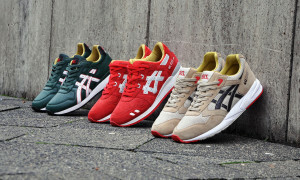 If you are looking for general athletic shoes, New Balance, Reebok, and Adidas are popular go-to brands. 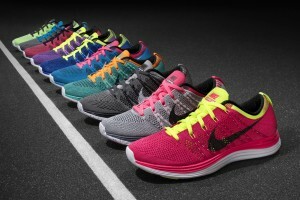 Brooks, Asics, Puma, and Nike also have a variety of styles that cater to those with wider feet. For wide fitting sandals and dress shoes, we would highly recommend Birkenstocks, a brand renowned for its superior comfort. With Big Apple Buddy, you now have full access to the latest and most stylish wide width shoes available on the market. Which Width Size Do You Need? As you can see, choices for wide width shoes in the United States are abundant. It’s not the selection that is problematic. It’s the difficulties associated with international shipping that can limit your options. That’s where Big Apple Buddy can help. We can help you buy D, 2E, and even 4E wide widths shoes from the most popular brands and deliver them to you anywhere in the world. We currently ship to over 220 countries worldwide including, Canada, New Zealand, Singapore, Hong Kong, Malaysia, Taiwan, Indonesia, Portugal, Germany, Malaysia, France, Mexico, Spain, Australia, South Africa and the UK. Why limit your wide width shoe options? Once you've found your perfect pair of wide width shoes, simply contact us for a free international shipping quote!